Economic growth, retirements, emigration and other movements are factors that affect the environmental workforce. In this report, we covered expansion demand and replacement demand to better understand employment in this sector. Projections. 90,000 additional environmental jobs are expected to be created by 2024. Growing environmental fields. Policy & Legislation, and Communications & Public Awareness are projected to grow 65% and 52% respectively by 2024. 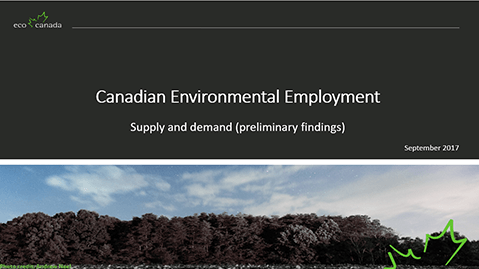 Environmental employment by province. Saskatchewan has the highest proportion of environmental employment at 3.8% when comparing it to its total labour force.